So, Luke saw Jillian (Jessica) and he has to find her. I mean, she was the love of his life. He can’t be expected to see her ghost and not go investigating. So he does. Meanwhile, and this is a big one, we were left weeping after AJ’s napkin message. Yeah, prepare for more tears because that side of the story is just heartbreaking. I was always team AJ, no matter what, and his story made me cry like a baby. But Jillian now has to go back to Portland, and what she finds there is something she didn’t expect. That being said, it was inevitable that the Knights couldn’t stay hidden forever. It was inevitable that their past would come looking and it was inevitable that Jillian and Jackson Knight would have to confront Jessica and Jude Day. But as inevitable as that was, you will not be able to predict how it all plays out. And while everything about this series for me was about Jillian (I mean, how cool is she?! ), we have her brother Jackson. He was hot, dangerous, cocky, and let’s be honest, a man-whore.. but even he deserves his happily ever after. You remember he met Ryn. Oh Ryn with all her problems deserves a good man. But she gets Jackson. But can Ryn love a killer? Can Jackson ever tell her about his past? And while I wasn’t as invested in his love story. His and Jillian has to be the most unconventionally beautiful sibling relationship. In so many ways the greatest love story of her life was not with Luke or AJ… it was with Jackson. He was the constant in her life. His love defined unconditional. Someday she would tell him… someday. But Jillian’s love story as we know has another constant. Luke. He hated the color of her hair. He hated that another man had loved her body and her heart. He hated that she sat ten feet away and yet she felt so out of reach. If he dwelled on all the things he hated, it would make it impossible to love her. And if he chose to do one thing for the rest of his life… it would be to love her. Man, what a tragic story. What heartache. But in all that tragedy was the love. And in the end, the Knights, the Days, they deserve so much love. And I smiled throughout the entire epilogue. 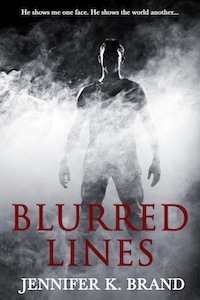 This entry was posted in Contemporary Romance, Dark Romance, Romantic Suspense and tagged Alpha Male, Contemporary Romance, Dark Romance, Possessive Men, Tortured Heroes. Bookmark the permalink.